Technology is continuing to encroach into our home lives. For years people have welcomed the VCR and home computer into their houses and with them an increase in the electricity bill. Google and Amazon are currently pushing their 'Home' and 'Echo' products and the likes of Hive and Sonos all come with a certain degree of bragging rights. 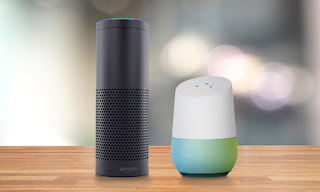 Of course, having a connected home is on the rise because it is an excuse to buy the latest new gadget. It's then pretty straightforward to plug in and start interacting with your new toy on a daily basis. I remember how liberated I felt when we bought a wireless printer! Where this becomes a bigger challenge is outside the confines of our houses. On a crowded tube journey recently I was struck by the thought that almost everyone had a mobile phone in their pockets. That's a lot of batteries to charge! This proliferation is encouraging brands to engage wherever possible with 'Digital-Out-Of-Home' (DOOH) - yet another new technology based acronym! 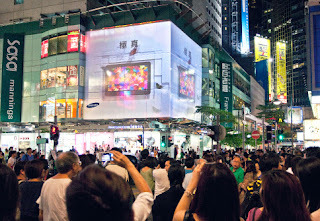 Advertising to the public on digital screens is nothing new but doing it well is the real challenge. I remember our digital screens, at a previous workplace, being flanked by an army of pull up banner stands. Shouldn't the screen be able to do their job all in one? The real power of digital out of home though is by bringing it together with the aforementioned mobile. I've written before about the benefits of beacons and the limitations of QR codes. For me, the use of easy augmented reality apps such as Blippar are much more appealing. There is still a real appetite to make scannable codes work and last week's launch of Spotify codes proves this. I'm a big fan Snapcodes to encourage this interaction with physical outdoor markers. This is because it's much more likely that younger demographics will have Snapchat on their device than a QR code reader! Importantly, DOOH and mobile are not to be looked at as separate channels. The two are intimately linked, and must be approached with a view to how they complement each other. For example, this is how you can get the most out of beacons. A regular conversation topic at work recently is that of Smart Cities. By surfacing useful information for passers-by brands will see much more interaction with their content. Some good examples of this are apps such as Street Museum or the talking statues initiative recently launch in nearby Bedford. The real benefit though, is to ultimately help in improving the mobility and infrastructure of cities. Like any digital innovation the intelligent use of data is essential in making this work. There's also no excuse to neglect the importance of targeting. Whilst is may be a bit more challenging when advertising on giant digital screens creative can be targeted according to weather conditions, time, location, or based on live data feeds. The lesson for me is that digital marketing campaigns are so much more than targeted adverts fed to individuals smart phones. For a fully immersive campaign to be a success it needs to make the most of all technologies available. Weaving these together to form a cohesive narrative is the real challenge and means planning and monitoring are more important than ever. A fully tiered and real-time approach can make going live with a new campaign more intricate and exciting than ever. It definitely makes it a lot more complicated when communicating the nuances to senior management!